My love and appreciation for fashion is rapidly growing and I have been following along Paris and New York Fashion week via blogs and instagram in absolute awe. One of my favourite collections shown at Paris Fashion week was Louis Vuitton's spring/summer line. Another favourite of mine from Louis Vuitton this year is the NN 14 bag. The NN14 is the signature of the Louis Vuitton Spring / Summer 2014 line and has been described as this seasons "it" bag on numerous fashion forums. 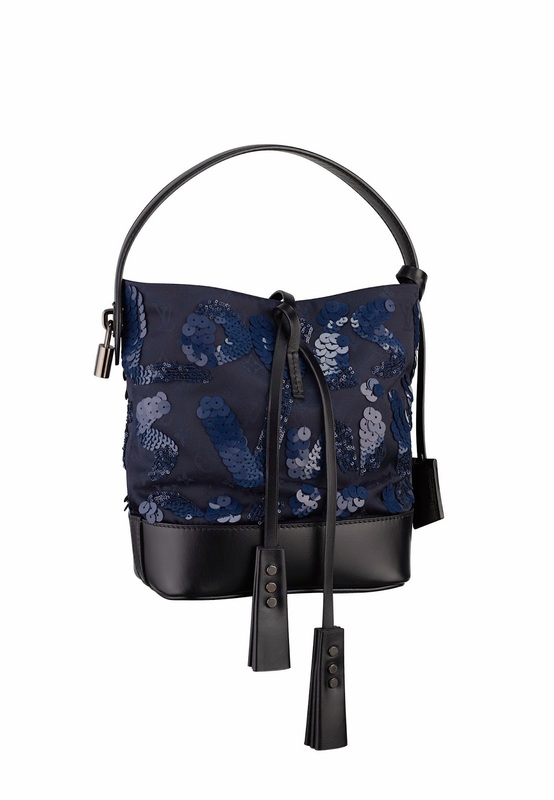 The NN14 is this seasons update of the iconic Noè bag and Marc Jacobs has dedicated it to women who inspire him. Seen above is the Stephen Sprouse Graffiti Signature which is embroidered in shimmering black sequins on a midnight blue monogram jacquard base. Image via Louis Vuitton, available at Louis Vuitton at Limegrove Lifestyle Center in Barbados. The stunning show took place at the prestigious Cour Carree du Louvre and was nothing short of spectacular. Black feathers, jet beads and embroidered rosettes all decorated the many jackets and column dresses presented. 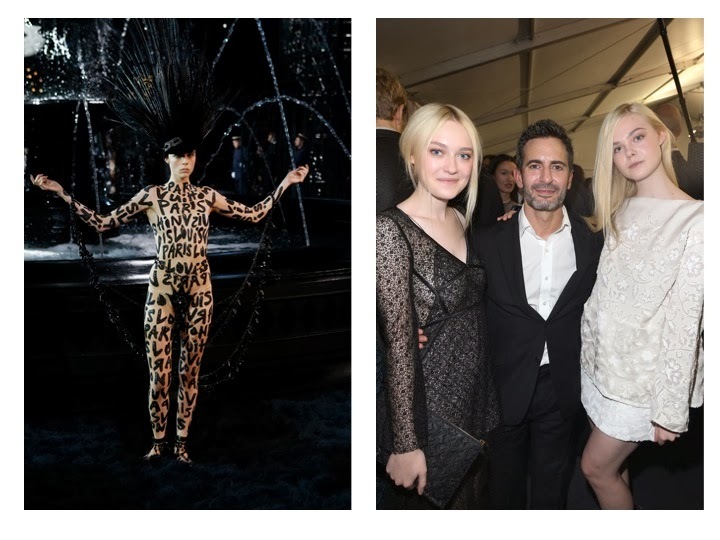 Left: The Stephen Sprouse jumpsuit at The Louis Vuitton Spring / Summer 2014 show at Paris Fashion week. 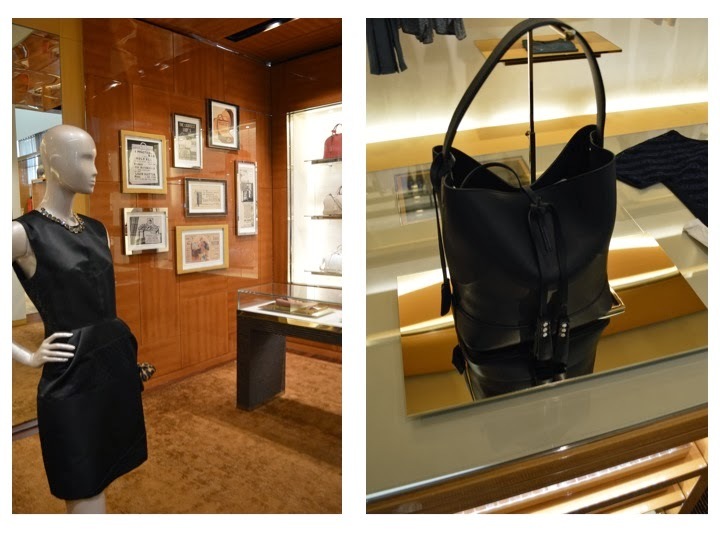 The Noè bucket bag dates back to 1932, designed by Gaston-Louis Vuitton to hold champagne bottles on the go. The NN14 is a smaller more streamlined bag yet still recognizable as a "bucket" for champagne. 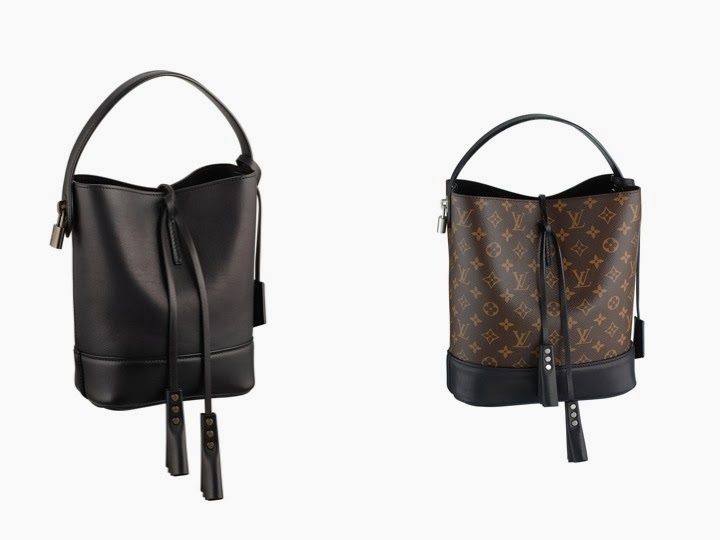 Both the NN14 in Cuir Nuance calfskin and monogrammed NN14 are available at Louis Vuitton at Limegrove Lifestyle Centre. Louis Vuitton at Limegrove Lifestyle Centre in St. James also debuted the bags this Saturday at a cocktail reception. Image property of LDB, if you are interested in using these images please contact us here. 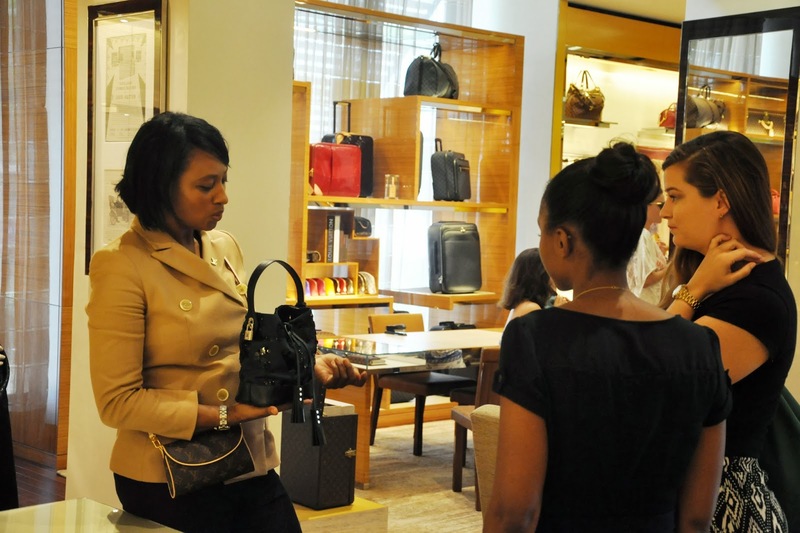 Store manager Janeace showing off the new NN14 Spotlight Noè Bag. Photo by Khalil Goodman. Like this post? See more fashion on the blog and follow along on Facebook, Twitter & Instagram.